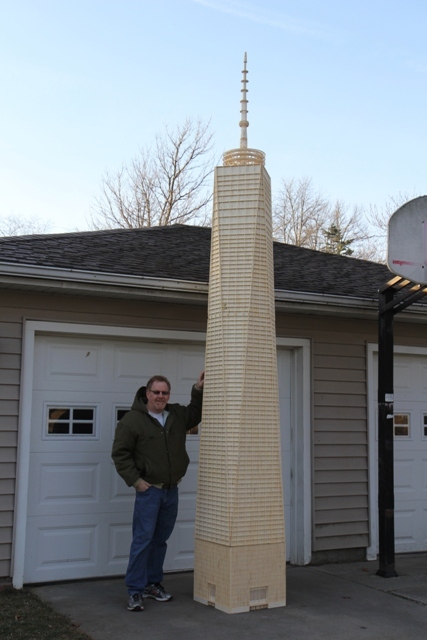 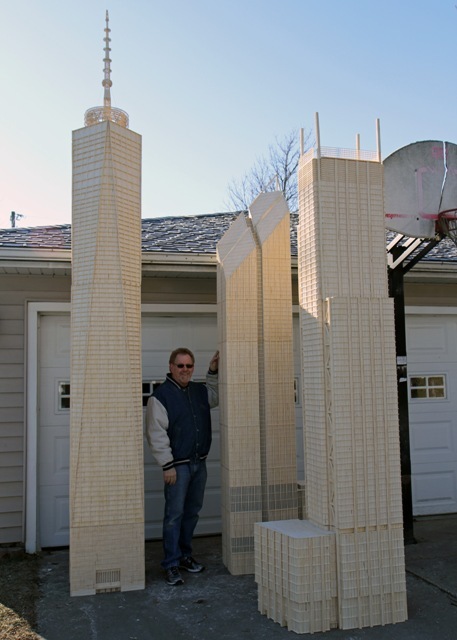 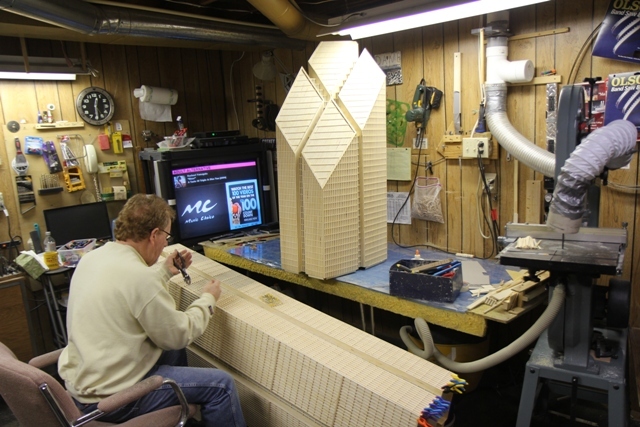 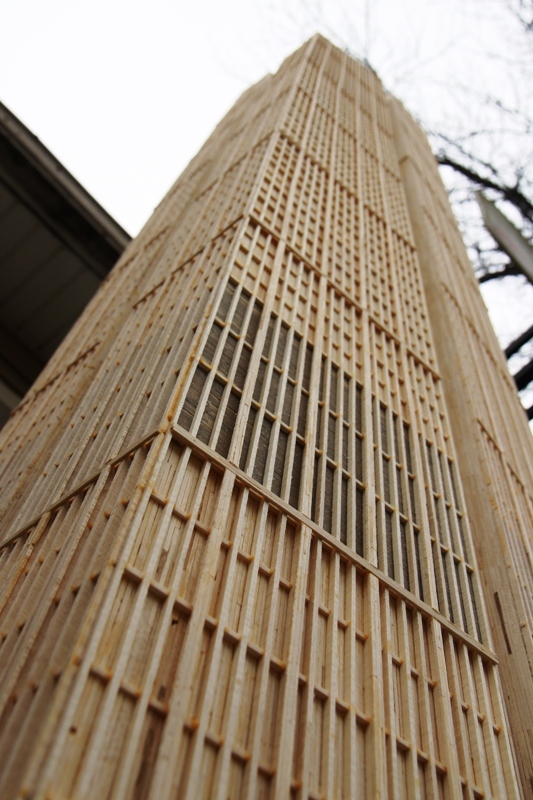 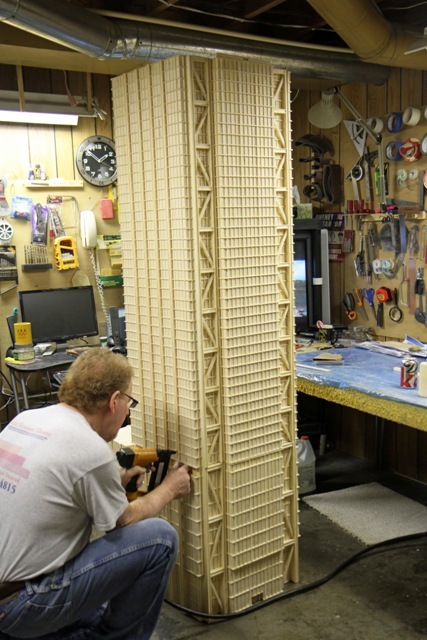 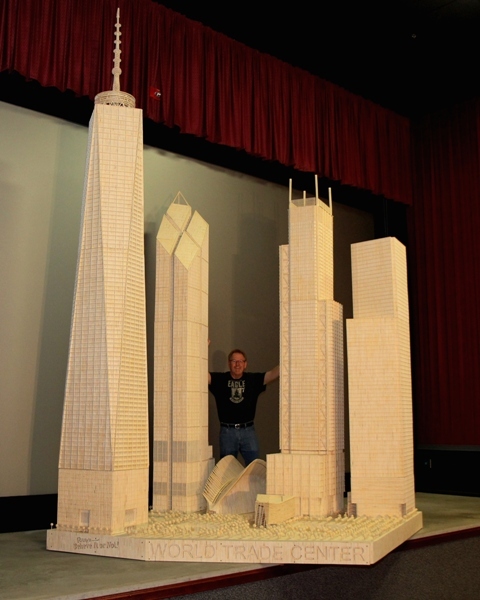 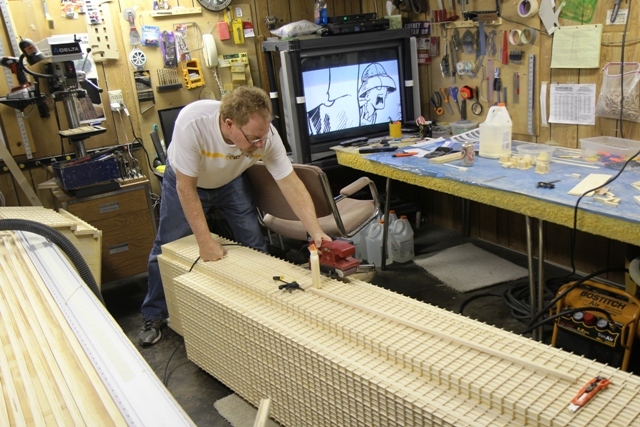 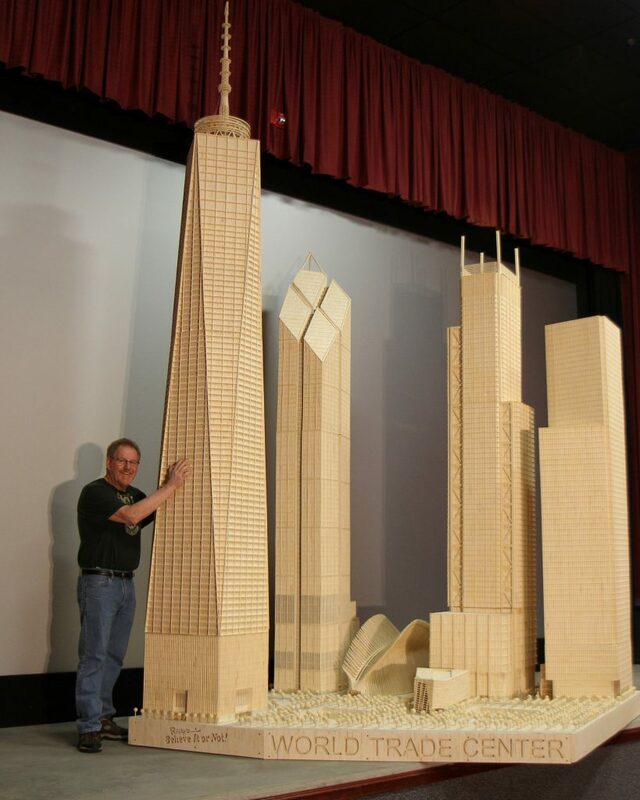 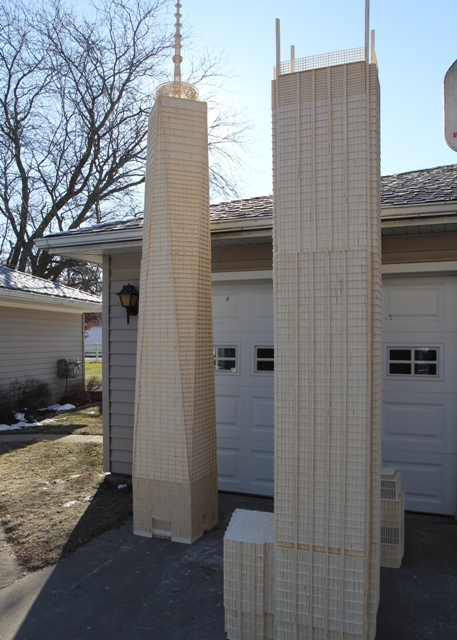 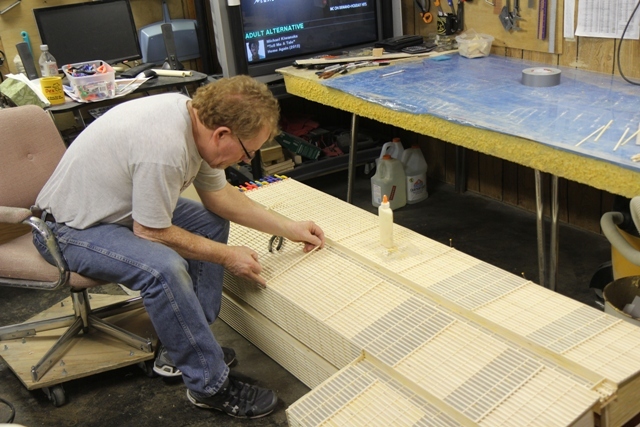 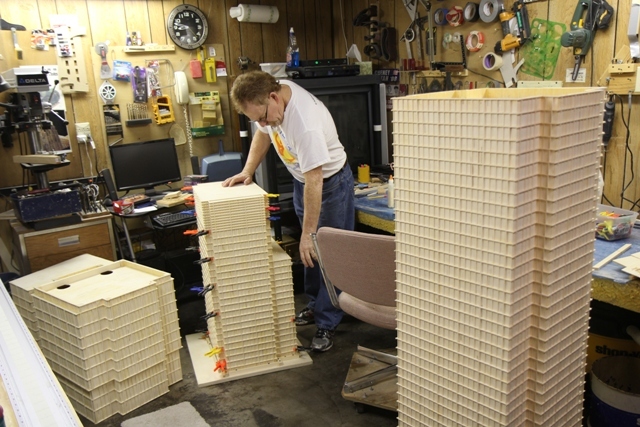 The Matchstick Marvels model of the new World Trade Center (WTC ) took 468,000 matchsticks, just over 17 gallons of wood glue, and an estimated 2100 hours to complete. 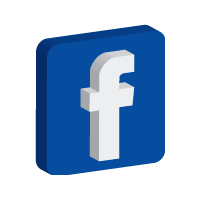 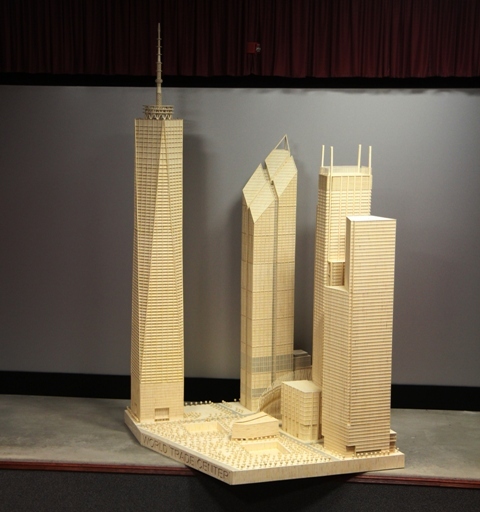 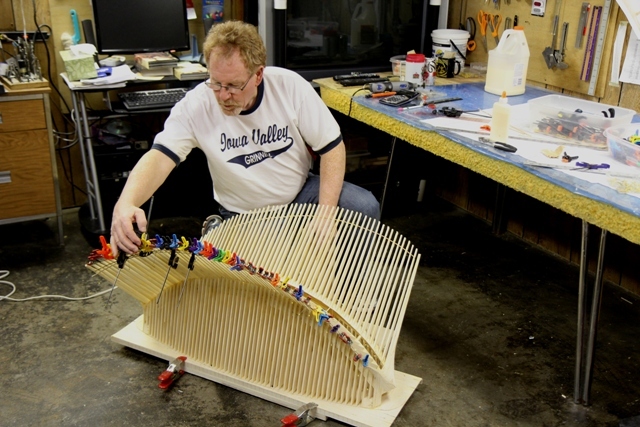 The WTC model was started in July 2012 and finished March 28, 2013. 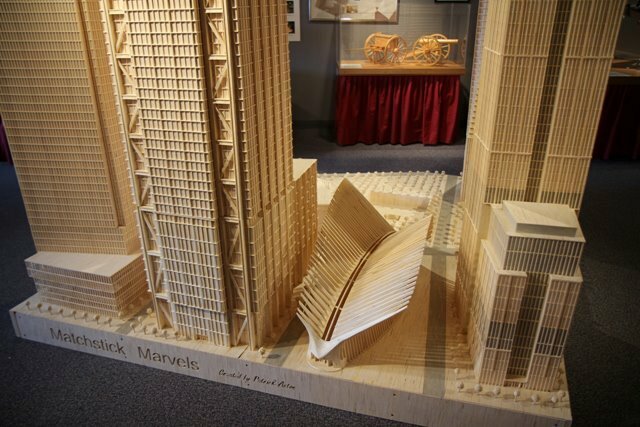 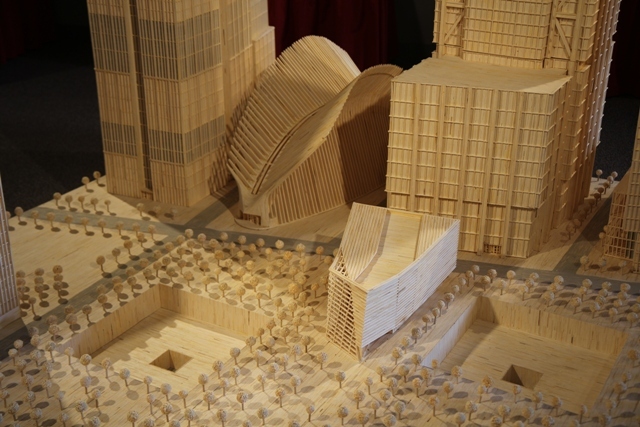 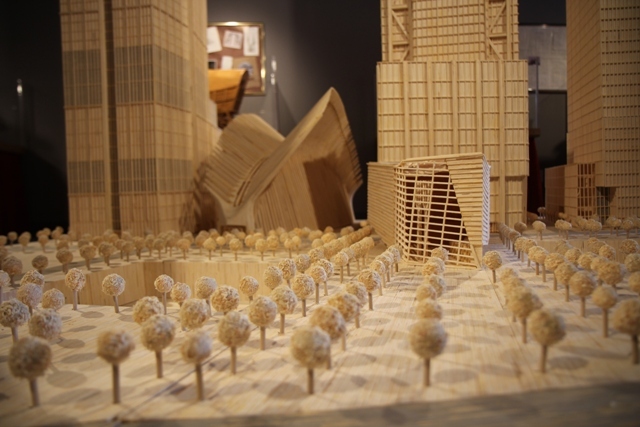 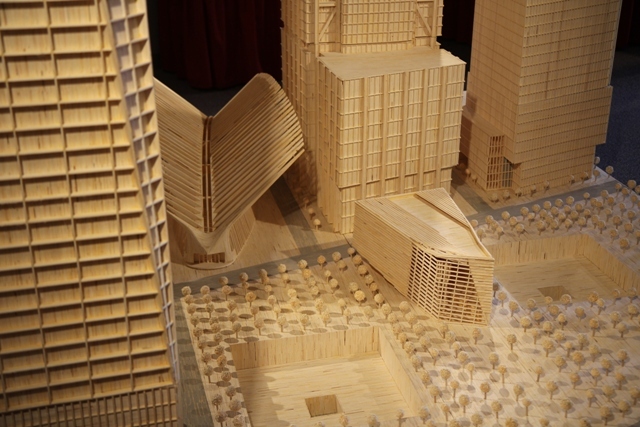 The model includes the four primary towers seen here, the Transportation Hub (spiny building), the 9/11 Memorial Museum and Park, which includes the reflecting pools where the original Twin Towers stood before the September 11 attack. 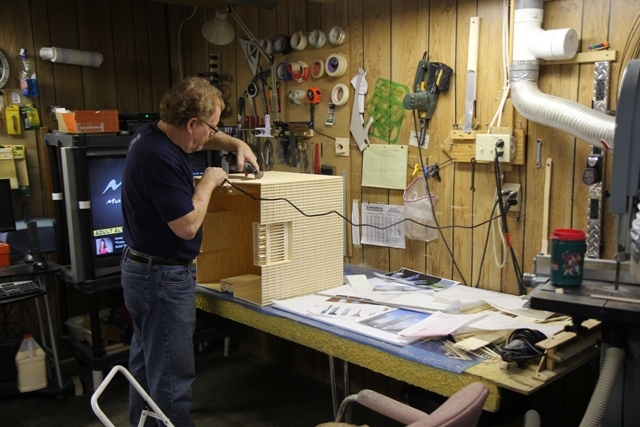 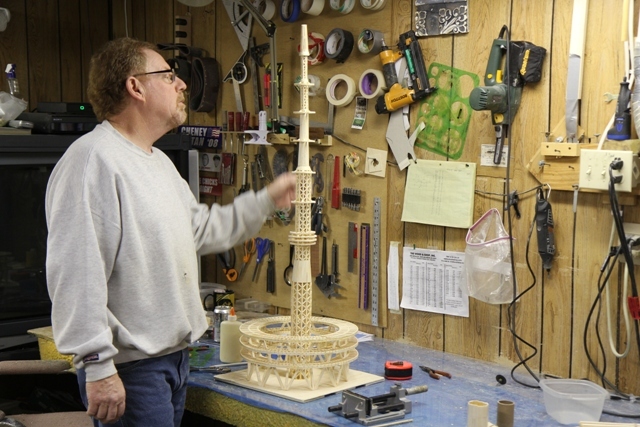 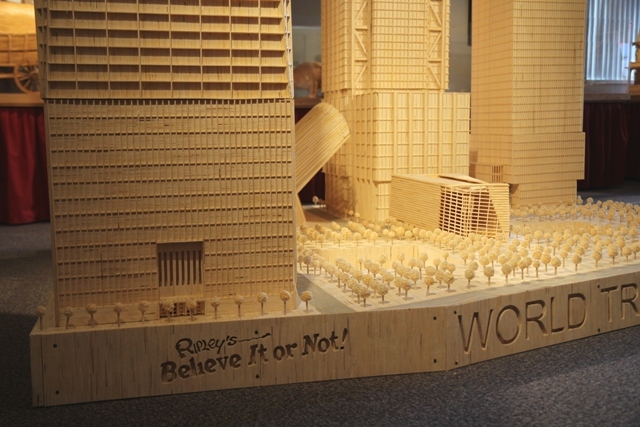 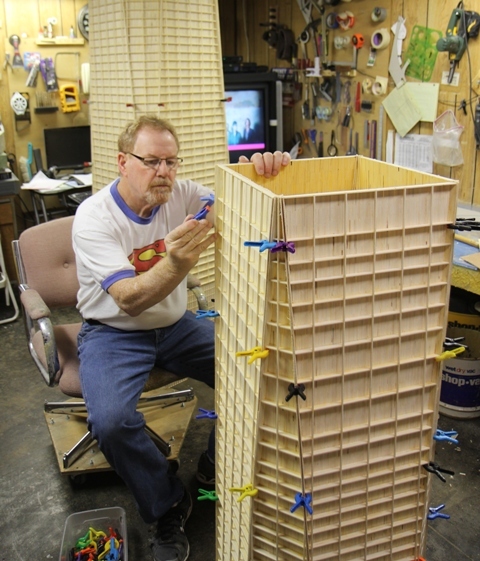 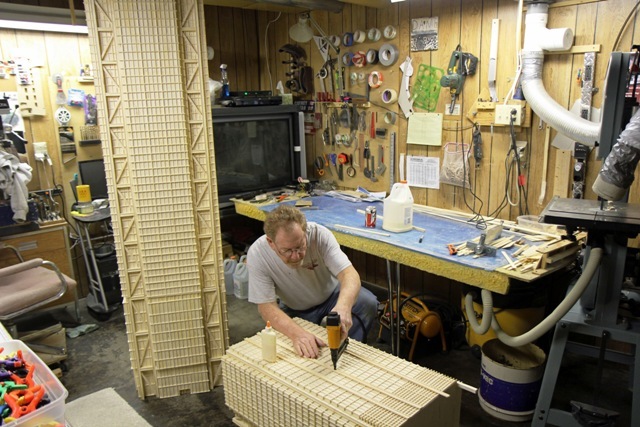 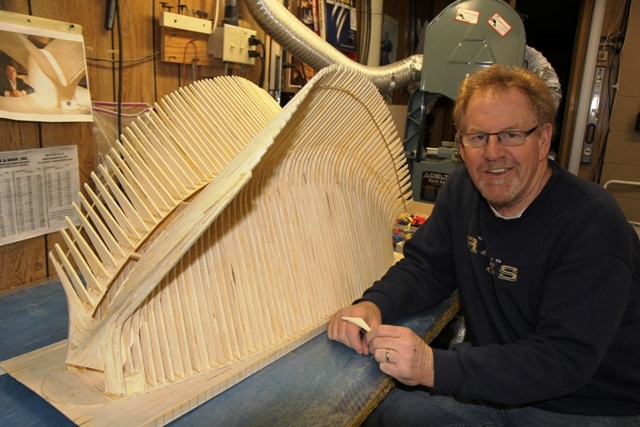 The WTC model has been constructed for Ripley’s Believe It or Not and is currently on display in Ripley’s Believe It or Not Museum in Houston. 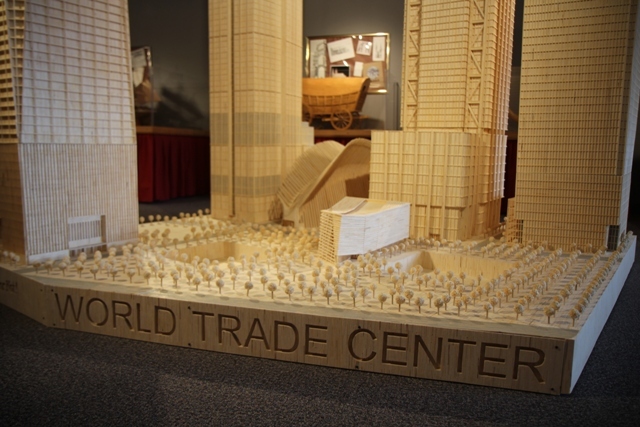 The new World Trade Center is under construction on the site of the former WTC complex in Lower Manhattan. 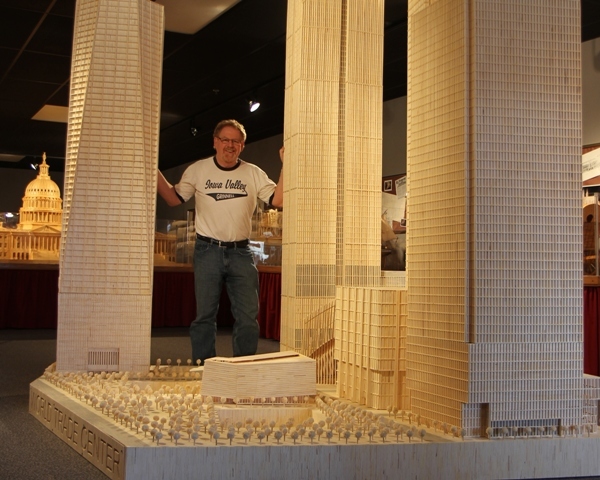 The 9/11 Memorial Park and Museum opened to the public on September 11, 2011, commemorating the 10-year anniversary of the terrorists’ attack.